Last week we mentioned a key security release of Node 4 would be dropping on Monday - it did, so if you’re on 4.x and still not upgraded, do so now. It resolves a critical DoS bug. Supporting PDF, PNG & JPEGs, it reads as little of a file as possible to work out its dimensions, and supports callback and promise usage. 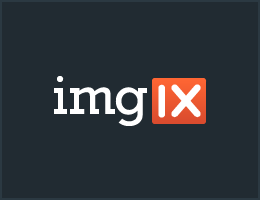 Resize, crop, and process images in real-time with Imgix all by simply changing the URL. Deliver transformed images quickly with a built-in, global CDN. Integrate easily with the Imgix NodeJS library. Start serving images in less than 10 minutes. Quick, high level looks at Bookshelf.js, Sequelize, and Lovefield. A developer at an eBay-owned German car marketplace shares how they built a Node app within 9 weeks that now serves 11m visitors a month. A 25 minute video walking through creating a simple Node app and deploying it on Microsoft’s Azure. Covers setting up containerized unit testing for Node apps to ensure your software works across a wide variety of platforms. Component based content management, including a live page binding, dynamic data support, and more. From @NodeSource — the Enterprise Node.js Company — N|Solid. Node-specific monitoring, performance analysis and enhanced security. Enterprise Node. Finally. Download for free. Keep heavily used functions under 600 characters, otherwise any JIT-compiled assembly won’t be inlined. A platform built with developer experience. Free sign up. A demonstration of using content negotiation to render browsable Web APIs when accessed from a Web browser rather than other code. A bit of a humor/political project here. Enjoy before it receives a takedown from VW.